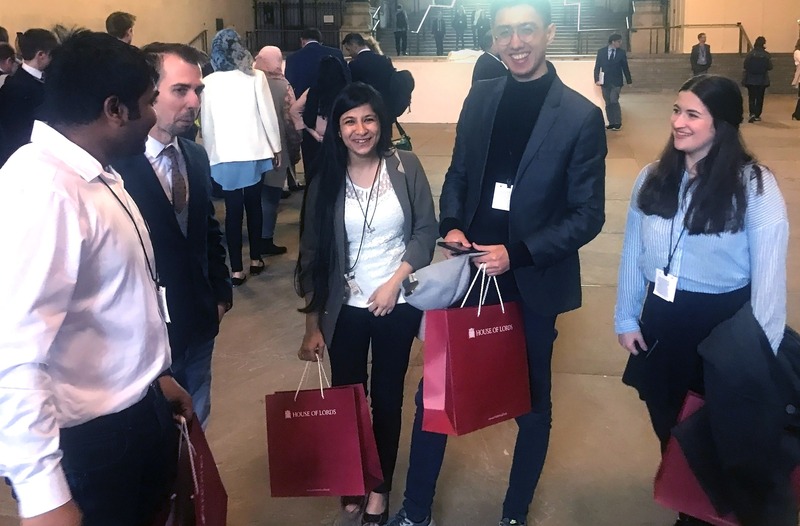 Among exciting firsts for Middlesex in 2018, more than 70 Computer Science BSc and MSc students and teaching staff took part in a project for enterprise and leadership network Pink Shoe Club, which included a demonstration of the software prototype they developed at the House of Lords. The Pink Shoe Club, with patrons including Theresa May and Tessa Sanderson and a strong network among Parliamentarians in Britain and overseas, seeks to build links between women and men of all backgrounds and to offer women lifelong development opportunities to reach the top of their field. The task given to MDX was to research and develop a user-friendly web-based prototype for women entrepreneurs called Know & Grow. Part of a wider digital toolkit being created for the UK Economic Blueprint for Women, Know & Grow allows women to conduct an all-round assessment of their readiness to scale up their business and gives them the information they need to do this, taking into consideration personal factors at different stages of life. Conducting in-depth interviews with potential women users, the students were able to develop a nuanced understanding of their needs and priorities, and consider how to lay out options and information online to best address these. 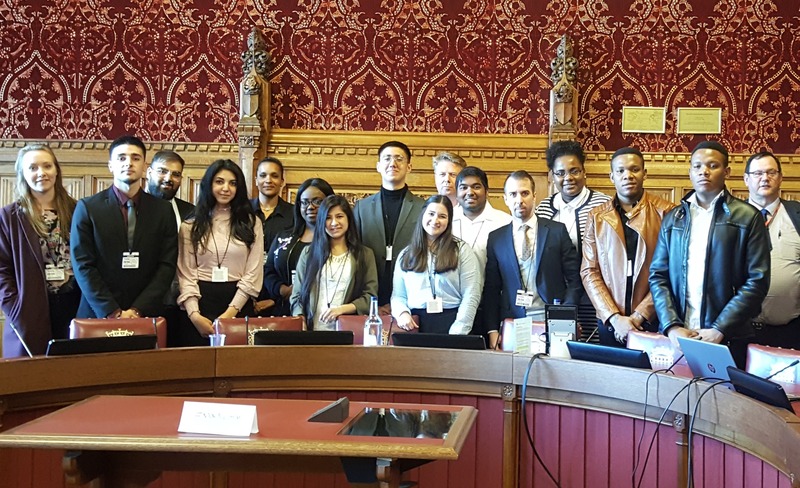 Teams presented their work to Pink Shoe Club members in February 2018, and selected students visited the House of Lords for a preview event last April. “We had to learn how to assess each other’s skills to use everyone in the most efficient manner” says Tomasz Wawreniuk, a 2018 Computer Science MSc graduate from Warsaw who was a member of one of the teams. A big part of the challenge was that the “specification was not very specified,” Tomasz says. The clients didn’t know exactly what they wanted until they saw the contributions of the different teams. As it turned out, “all projects had something in them” that the Pink Shoe Club team liked: the final prototype took something from all of them. Tomasz, now working as a developer in the UK, says he especially valued the small size of study groups at Middlesex, enabling a close personal rapport between lecturers and students and for teachers to really know their students’ strengths and weaknesses. While at Middlesex, alongside his studies and professional software development work, he wrote code to develop his skills in his spare time – he is second in world rankings for the functional web client language, Elm. Having participated in the project, Devyani Parchani from Maharashtra state, India, completed her Computer Science MSc dissertation examining to what extent the Know & Grow prototype engendered trust in women end-users — a significant issue in today’s climate of digital privacy concerns — with HSBC and Amazon as comparators. “I talked to so many women” she says, testing five different levels of trust including whether users trusted the platform to have consumers’ best interests at heart, and if they would trust it with their personal and sensitive data. In the final assessment, she found Know & Grow scored a trust rating equal to Amazon. Devyani was awarded a First for her dissertation, as well as for her degree as a whole. The attractions of studying at Middlesex, she says, included the fact that for learning and research, “everything is in one place” on the Hendon campus. “You don’t have to go looking outside, [you get the] full package”. The teaching style also appealed to her, making her feel free to ask questions. She especially enjoyed Simon Attfield’s class for its interactivity: “Your opinions are listened to,” she says. She’s now working for North London-based food supplement company Vitabiotics and aspires to set up her own business one day. Associate Professor Simon Attfield said, “Students often come to us with a modest appreciation of designing for good user-experience. We teach them the concepts and techniques for understanding the user perspective and designing interaction that is positive and rewarding. “What was exciting about the Know & Grow project is the way that our students grabbed the problem with both hands and produced some really great work that impressed the client. A highlight for me was overhearing two male students arguing over who had the most feminine colour scheme! We have Diana Chrouch and the other Pink Shoe consultants to thank for their support and engagement, and bringing us a problem that was so interesting and motivating. “We are continuing to work with the Pink Shoe Club, currently helping in the process of turning the prototype into an implemented reality and with the broader digital platform. "We are very positive about the stimulus that real life projects provide in Computer Science, lending meaning to the work beyond learning itself, which paradoxically seems to stimulate better learning. We have certainly found students attaining better grades and are keen to develop more collaborations like this with people from outside the university". 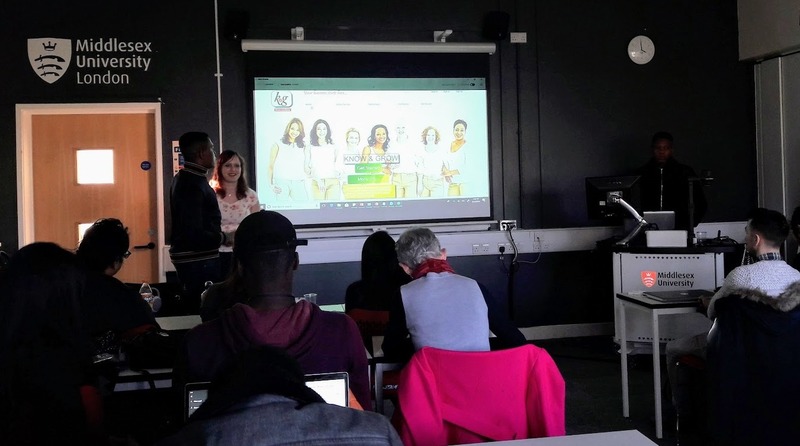 Pink Shoe Club founder Helene Martin Gee described the Know & Grow project as “an inspiring collaboration between businesswomen and students”.